As harvest is still a few weeks away, for the moment, we are able to do the harvest preparations at a relatively gentle pace. Harvest preparations take on all forms . Yesterday I was cleaning and lubricating the valves on the tanks. 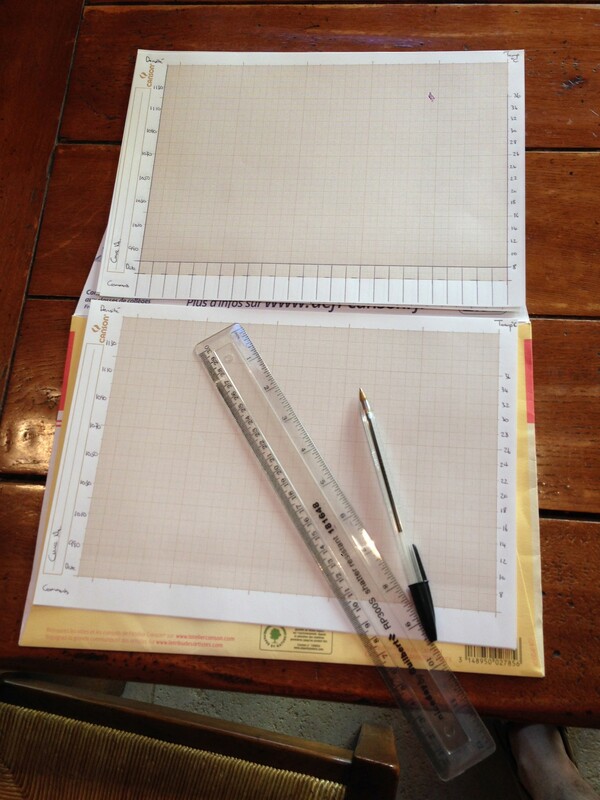 Today I am making up our blank fermentation graphs. During fermentation we record the status of each tank once or twice a day in terms of temperature and density. By measuring the density we can see how much of the sugar has been converted to alcohol. 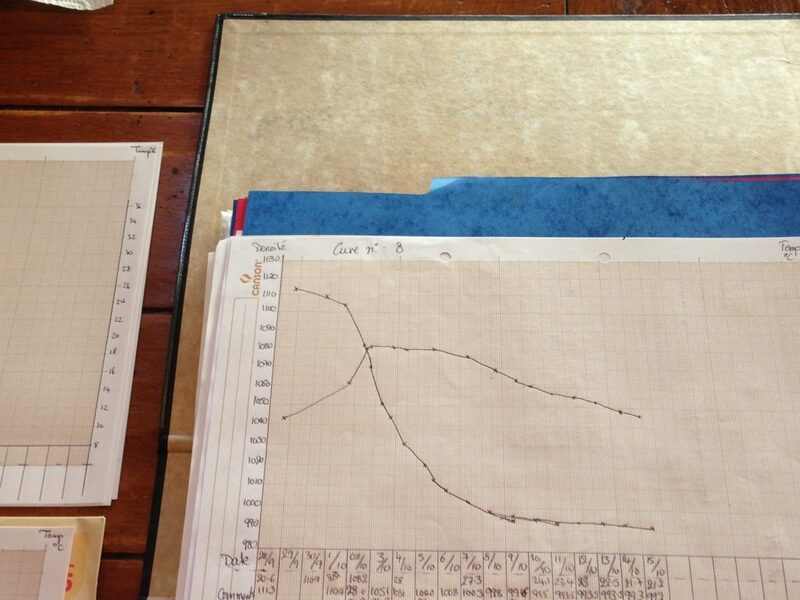 An example of a completed graph from last year is below. The line falling from left to right is the density which falls steadily as the fermentation progresses. The temperature line rises quickly as the fermentation starts, but we then cap the temperature by chilling the wine to ensure that the fermentation is not too warm, then as the fermentation slows down towards the end the temperature gradually falls too.